Where did we get 110 trains per day? Your own website Frank! Norfold Southern says they WON'T use it! 30 MILES? HOW WOULD THIS AFFECT YOU? 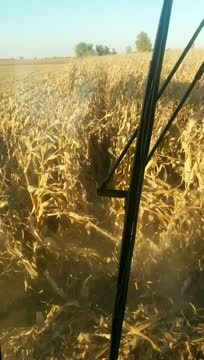 Harvesting Corn in "sparsely populated, undeveloped land". Sorry, just because the land isn't covered in concrete, re-bar, and steel, doesn't make it "undeveloped". Carl Zimmerman at GLB Opposition meeting. VIDEOS FROM MORRIS HIGH SCHOOL PUBLIC MEETING WITH FRANK PATTON. THANK YOU WGLC 100.1 FOR FILMING THE MEETING.